One of my boys sent me this single a few weeks ago. Had it on deck for a review, but I slept on it. Not really slept, more like knocking out a rack of album reviews and getting ready for our latest podcast. But I was hit with the follow up video to "The Narrative" single a few days ago. I've been aware of the existence of ILL Conscious for a few, but for one reason or another he fell under my radar. Which is crazy because the few tracks I've heard from him have been dope. With the blog, IG (I'm the lead for the squad) and the podcast, I'm even more immersed in the culture than ever. Sometimes there just ain't enough hours in the day to catch everything. ILL Conscious is a Baltimore emcee who ain't even 30 yet (well 29, so comment still true). In the few tracks I've heard before "The Narrative", I would compare his rhyme scheme to a young AZ. But after hearing his latest joint, I can definitely see a touch of Big L in his flow. Everyone calm down. I ain't saying this dude is the second coming of a AZ/Big L hybrid. But if you know me, you know I always differentiate between the rappers from the emcees (I'm not gonna break that all the way down now, maybe for a future podcast). Emcees are students of the culture and have superior lyrical abilities (among other things). And for me, ILL checks all them boxes. Now onto the track. The single benefits from a Golden Era influenced instrumental created by Venice Beach producer Eyedee. Real talk, this joint sounds like it jumped straight out of Doe or Die. The intro alone sets the mood with some soulful vocals (I STILL can't find out what sample it's from). Once the beats drops, ILL rides the track with an insanely smooth flow. If you need DEM BARS in your life, this joint will provide you with that lyrical sustenance. I can bring up more emcee references to compare ILL's style, but I won't. Just know this young dude is a prefect blend of past and present lyricists (in terms of influences, of course this dude is his own man). 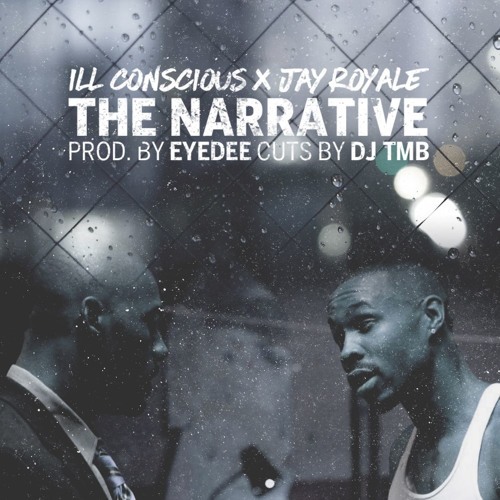 Enter Jay Royale, another Bmore spitter cut from the same cloth. The complimentary pairing of these emcees seems effortless. It kind of makes you wish for a Jada/Styles back and forth. The pair give you a glimpse into that Bmore life with grimey bars and metaphors. The track ends with DJ TMB chopping up a few vocals from Mobb Deep, Jay Z, and KRS ONE (I might have missed one or two others), providing a perfect bookend to the track. The video for "The Narrative" fits naturally with the grimey bars and instrumental. The duo jump from a corner store, a residential and the metro. Besides the j.o.b. in Maryland, I ain't that acquainted with that many Bmore areas. Except for the metro of course. That's a DMV staple. But I'm sure there are a few landmarks that native Baltimoreans(?) will recognize. There is a "low fi" quality to the video that adds to the authenticity of the overall product. So whether you bumping the track in the whip or you watching the video at work, you will not be disappointed. Final thought: this joint is a street BANGER. "The Narrative" is the debut single off of ILL Conscious' upcoming 2nd album, The Prerequisite. Keep your ears to the streets for that to drop (think I saw somewhere it was February 19th). And run through his first LP, The Essence, and his mixtape catalog. Bmore stand up.